This .223 Wylde Assembled Upper Offers Amazing Stopping Power & Accuracy Which Makes It The Perfect Option For An AR Rifle. We Feel That This Amazing Blend Of Attributes Make This Kit Adaptable In Its Use And Ability To Be Used Anywhere Under Every Circumstance. Includes A .223 Wylde 16" Ultra-Match 416R Stainless Spiral Fluted QPQ Nitride Heavy Barrel From ELD Performance This Barrel Will Shoot Well Under 1" @ 100 Yards. Spiral Fluting Greatly Improves The Rigidity Of This Barrel Minimizing The Effect That Barrel Harmonics Has On Accuracy. 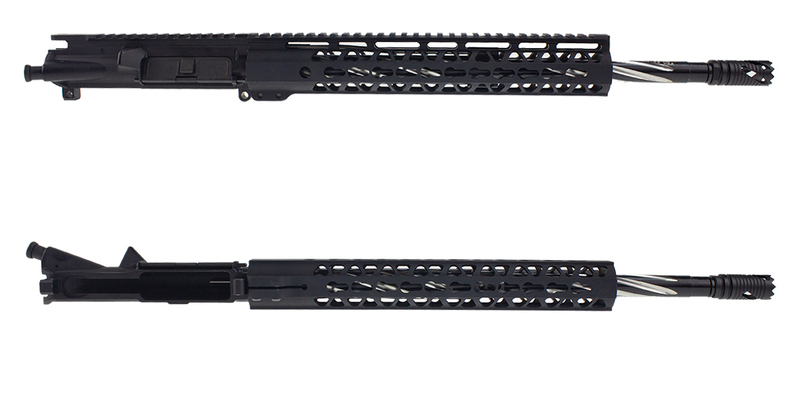 ELD Performance Has Taken Their Already High End, Match-Grade Sub-MOA 416R Stainless Steel Barrel Then Applied A QPQ Nitride Treatment. This Melonite/Nitride Treatment Increases Its Rigidity & Hardness By Up To 300% Making It More Durable Than Chrome Lining. 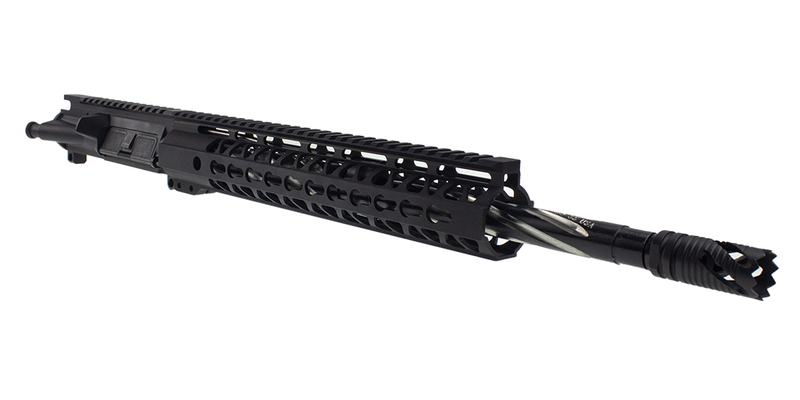 Lakota Ops "Boa" 12" Key-Mod Ultra-Lite 6061 T6 Aluminum Triangle Cuts Handguard w/ Steel Barrel Nut. 100% Made In The USA. Allows Detachable Picatinny Rails So You Can Comfortably Grip The Pistol In A Variety Of Shooting Positions & Still Securely Mount Accessories.